Nav System, Brake Actuated Limited Slip Differential, Lane Keeping Assist, Cross-Traffic Alert..KEYLESS START.. P0G02 - S CO-PILOT.BACK-UP CAMERA.. Ruby Red Metallic Tinted Clearcoat exterior and Medium Light Stone interior, S trim. KEY FEATURES INCLUDE . BACK-UP CAMERA. KEYLESS START. Brake Actuated Limited Slip Differential, Cross-Traffic Alert, Lane Keeping Assist. KEYLESS ENTRY, STEERING WHEEL CONTROLS, CHILD SAFETY LOCKS, ELECTRONIC STABILITY CONTROL, BUCKET SEATS. OPTION PACKAGES P0G02 - S CO-PILOT Ford Co-Pilot360 Assist w/SYNC 3, SYNC 3 Communications & Entertainment System, enhanced voice recognition, 2 4.2 driver configurable LCD displays in instrument cluster, 8 center LCD capacitive touch-screen w/swipe capability, AppLink, 911 Assist, Apple CarPlay, Android Auto and 2 smart charging USB ports, Voice-Activated Touchscreen Navigation System, pinch-to-zoom capability, SiriusXM Traffic and Travel Link w/5-year prepaid subscription, Not available in AK/HI, SiriusXM audio and data services each require a subscription sold separately, or as a package, by SiriusXM Radio Inc, If you decide to continue service after your trial, the subscription plan you choose will automatically renew thereafter and you will be charged according to your chosen payment method at, RUBY RED METALLIC TINTED CLEARCOAT, EQUIPMENT GROUP 100A, ENGINE: 2.5L IVCT (STD), TRANSMISSION: 6-SPEED AUTOMATIC (STD). Ford S with Ruby Red Metallic Tinted Clearcoat exterior and Medium Light Stone interior features a 4 Cylinder Engine with 175 HP at 6000 RPM*. VEHICLE REVIEWS The shapely front seats are supportive and well-bolstered. There's good front headroom and legroom Great Gas Mileage: 31 MPG Hwy. All prices include all applicable rebates and incentives. Horsepower calculations based on trim engine configuration. Fuel economy calculations based on original manufacturer data for trim engine configuration. Please confirm the accuracy of the included equipment by calling us prior to purchase. Smart Device Integration, Brake Actuated Limited Slip Differential, OXFORD WHITE, EQUIPMENT GROUP 100A.BACK-UP CAMERA....IPOD/MP3 INPUT....FLEX FUEL.. Oxford White exterior and Chromite Gray/Chrcl Black interior, S trim KEY FEATURES INCLUDE . BACK-UP CAMERA. FLEX FUEL. IPOD/MP3 INPUT. Smart Device Integration, Brake Actuated Limited Slip Differential REAR SPOILER, MP3 PLAYER, ONBOARD HANDS-FREE COMMUNICATIONS SYSTEM, KEYLESS ENTRY, CHILD SAFETY LOCKS. OPTION PACKAGES OXFORD WHITE, EQUIPMENT GROUP 100A. Ford S with Oxford White exterior and Chromite Gray/Chrcl Black interior features a 4 Cylinder Engine with 168 HP at 6000 RPM*. EXPERTS ARE SAYING Edmunds.com explains The 2019 Ford Escape is a rare breed of compact crossover that deftly blends performance and utility. Sporty handling and a powerful turbocharged engine make the Escape drive more like a sedan, without sacrificing SUV versatility, making it a best-of-both-worlds choice.. Great Gas Mileage: 29 MPG Hwy. OUR OFFERINGS For over 35 years John Vance Auto Group has been a comfortable place to buy a car. Serving the Oklahoma City metro area and with 11 domestic makes to choose from we are sure you can find the next car, truck or SUV of your dreams. The John Vance Auto Group is located just minutes north of Oklahoma City in Guthrie, OK on I-35 exit 153. Come see why the John Vance Auto Group is a comfortable place to buy a car. All prices include all applicable rebates and incentives. Horsepower calculations based on trim engine configuration. Fuel economy calculations based on original manufacturer data for trim engine configuration. Please confirm the accuracy of the included equipment by calling us prior to purchase. NAV..SATELLITE RADIO...IPOD/MP3 INPUT....REMOTE ENGINE START....BACK-UP CAMERA.. P0H02 - SE CO-PILOT, Turbo. FUEL EFFICIENT 34 MPG Hwy/23 MPG City! SE trim, Ruby Red Metallic Tinted Clearcoat exterior and Ebony interior KEY FEATURES INCLUDE . BACK-UP CAMERA. SATELLITE RADIO. IPOD/MP3 INPUT. ALUMINUM WHEELS. REMOTE ENGINE START. MP3 PLAYER, ONBOARD HANDS-FREE COMMUNICATIONS SYSTEM, DUAL ZONE A/C, KEYLESS ENTRY, CHILD SAFETY LOCKS. OPTION PACKAGES P0H02 - SE CO-PILOT Ford Co-Pilot360 Assist, Voice-Activated Touchscreen Navigation System, pinch-to-zoom capability, SiriusXM Traffic and Travel Link w/5-year prepaid subscription, Not available in AK/HI, SiriusXM audio and data services each require a subscription sold separately, or as a package, by SiriusXM Radio Inc, If you decide to continue service after your trial, the subscription plan you choose will automatically renew thereafter and you will be charged according to your chosen payment method at then-current rates, Fees and taxes apply, To cancel you must call SiriusXM at 1-866-635-2349, See SiriusXM Customer Agreement for complete terms at www.siriusxm.com, All fees and programming subject to change, SiriusXM and all related marks and logos are trademarks of SiriusXM Radio, RUBY RED METALLIC TINTED CLEARCOAT, EQUIPMENT GROUP 150A, ENGINE: 1.5L ECOBOOST (STD), TRANSMISSION: 6-SPEED AUTOMATIC SelectShift (STD). Ford SE with Ruby Red Metallic Tinted Clearcoat exterior and Ebony interior features a 4 Cylinder Engine with 181 HP at 6000 RPM*. EXPERTS RAVE newCarTestDrive.com's review says The shapely front seats are supportive and well-bolstered. There's good front headroom and legroom Great Gas Mileage: 34 MPG Hwy. All prices include all applicable rebates and incentives. Horsepower calculations based on trim engine configuration. Fuel economy calculations based on original manufacturer data for trim engine configuration. Please confirm the accuracy of the included equipment by calling us prior to purchase. FUEL EFFICIENT 29 MPG Hwy/21 MPG City! S trim, Lightning Blue Metallic exterior and Chromite Gray/Chrcl Black interior. Brake Actuated Limited Slip Differential, Smart Device Integration, EQUIPMENT GROUP 100A, LIGHTNING BLUE METALLIC KEY FEATURES INCLUDE . BACK-UP CAMERA. FLEX FUEL. IPOD/MP3 INPUT. Smart Device Integration, Brake Actuated Limited Slip Differential. REAR SPOILER, MP3 PLAYER, ONBOARD HANDS-FREE COMMUNICATIONS SYSTEM, KEYLESS ENTRY, CHILD SAFETY LOCKS. OPTION PACKAGES LIGHTNING BLUE METALLIC, EQUIPMENT GROUP 100A. Ford S with Lightning Blue Metallic exterior and Chromite Gray/Chrcl Black interior features a 4 Cylinder Engine with 168 HP at 6000 RPM*. EXPERTS ARE SAYING Edmunds.com's review says The 2019 Ford Escape is a rare breed of compact crossover that deftly blends performance and utility. Sporty handling and a powerful turbocharged engine make the Escape drive more like a sedan, without sacrificing SUV versatility, making it a best-of-both-worlds choice.. Great Gas Mileage: 29 MPG Hwy. VISIT US TODAY For over 35 years John Vance Auto Group has been a comfortable place to buy a car. Serving the Oklahoma City metro area and with 11 domestic makes to choose from we are sure you can find the next car, truck or SUV of your dreams. The John Vance Auto Group is located just minutes north of Oklahoma City in Guthrie, OK on I-35 exit 153. Come see why the John Vance Auto Group is a comfortable place to buy a car. All prices include all applicable rebates and incentives. Horsepower calculations based on trim engine configuration. Fuel economy calculations based on original manufacturer data for trim engine configuration. Please confirm the accuracy of the included equipment by calling us prior to purchase. S trim, Agate Black Metallic exterior and Chromite Gray/Chrcl Black interior. Smart Device Integration, Brake Actuated Limited Slip Differential, AGATE BLACK METALLIC, EQUIPMENT GROUP 100A.BACK-UP CAMERA....IPOD/MP3 INPUT.. KEY FEATURES INCLUDE . BACK-UP CAMERA. FLEX FUEL. IPOD/MP3 INPUT. Smart Device Integration, Brake Actuated Limited Slip Differential. REAR SPOILER, MP3 PLAYER, ONBOARD HANDS-FREE COMMUNICATIONS SYSTEM, KEYLESS ENTRY, CHILD SAFETY LOCKS. OPTION PACKAGES AGATE BLACK METALLIC, EQUIPMENT GROUP 100A. Ford S with Agate Black Metallic exterior and Chromite Gray/Chrcl Black interior features a 4 Cylinder Engine with 168 HP at 6000 RPM*. EXPERTS ARE SAYING The 2019 Ford Escape is a rare breed of compact crossover that deftly blends performance and utility. Sporty handling and a powerful turbocharged engine make the Escape drive more like a sedan, without sacrificing SUV versatility, making it a best-of-both-worlds choice. -Edmunds.com. Great Gas Mileage: 29 MPG Hwy. 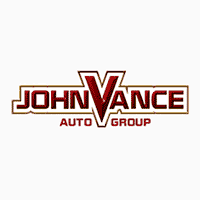 MORE ABOUT US For over 35 years John Vance Auto Group has been a comfortable place to buy a car. Serving the Oklahoma City metro area and with 11 domestic makes to choose from we are sure you can find the next car, truck or SUV of your dreams. The John Vance Auto Group is located just minutes north of Oklahoma City in Guthrie, OK on I-35 exit 153. Come see why the John Vance Auto Group is a comfortable place to buy a car. All prices include all applicable rebates and incentives. Horsepower calculations based on trim engine configuration. Fuel economy calculations based on original manufacturer data for trim engine configuration. Please confirm the accuracy of the included equipment by calling us prior to purchase. FUEL EFFICIENT 29 MPG Hwy/21 MPG City! S trim. ..BACK-UP CAMERA....FLEX FUEL....IPOD/MP3 INPUT.. Brake Actuated Limited Slip Differential, Smart Device Integration. Warranty 5 yrs/60k Miles - Drivetrain Warranty; KEY FEATURES INCLUDE . BACK-UP CAMERA. FLEX FUEL. IPOD/MP3 INPUT. Smart Device Integration, Brake Actuated Limited Slip Differential REAR SPOILER, MP3 PLAYER, ONBOARD HANDS-FREE COMMUNICATIONS SYSTEM, KEYLESS ENTRY, CHILD SAFETY LOCKS. VEHICLE REVIEWS Edmunds.com's review says The 2019 Ford Escape is a rare breed of compact crossover that deftly blends performance and utility. Sporty handling and a powerful turbocharged engine make the Escape drive more like a sedan, without sacrificing SUV versatility, making it a best-of-both-worlds choice.. Great Gas Mileage: 29 MPG Hwy. BUY FROM AN AWARD WINNING DEALER For over 35 years John Vance Auto Group has been a comfortable place to buy a car. Serving the Oklahoma City metro area and with 11 domestic makes to choose from we are sure you can find the next car, truck or SUV of your dreams. The John Vance Auto Group is located just minutes north of Oklahoma City in Guthrie, OK on I-35 exit 153. Come see why the John Vance Auto Group is a comfortable place to buy a car. All prices include all applicable rebates and incentives. Fuel economy calculations based on original manufacturer data for trim engine configuration. Please confirm the accuracy of the included equipment by calling us prior to purchase. Ingot Silver Metallic exterior and Chromite Gray/Chrcl Black interior. FUEL EFFICIENT 29 MPG Hwy/21 MPG City! Smart Device Integration, Brake Actuated Limited Slip Differential, INGOT SILVER METALLIC, EQUIPMENT GROUP 100A.FLEX FUEL.. KEY FEATURES INCLUDE . BACK-UP CAMERA. FLEX FUEL. IPOD/MP3 INPUT. Smart Device Integration, Brake Actuated Limited Slip Differential. REAR SPOILER, MP3 PLAYER, ONBOARD HANDS-FREE COMMUNICATIONS SYSTEM, KEYLESS ENTRY, CHILD SAFETY LOCKS. OPTION PACKAGES INGOT SILVER METALLIC, EQUIPMENT GROUP 100A. Ford S with Ingot Silver Metallic exterior and Chromite Gray/Chrcl Black interior features a 4 Cylinder Engine with 168 HP at 6000 RPM*. EXPERTS RAVE Edmunds.com's review says The 2019 Ford Escape is a rare breed of compact crossover that deftly blends performance and utility. Sporty handling and a powerful turbocharged engine make the Escape drive more like a sedan, without sacrificing SUV versatility, making it a best-of-both-worlds choice.. Great Gas Mileage: 29 MPG Hwy. MORE ABOUT US For over 35 years John Vance Auto Group has been a comfortable place to buy a car. Serving the Oklahoma City metro area and with 11 domestic makes to choose from we are sure you can find the next car, truck or SUV of your dreams. The John Vance Auto Group is located just minutes north of Oklahoma City in Guthrie, OK on I-35 exit 153. Come see why the John Vance Auto Group is a comfortable place to buy a car. All prices include all applicable rebates and incentives. Horsepower calculations based on trim engine configuration. Fuel economy calculations based on original manufacturer data for trim engine configuration. Please confirm the accuracy of the included equipment by calling us prior to purchase. S trim. ..FLEX FUEL....BACK-UP CAMERA.. Smart Device Integration, Brake Actuated Limited Slip Differential..IPOD/MP3 INPUT.. EPA 29 MPG Hwy/21 MPG City! Warranty 5 yrs/60k Miles - Drivetrain Warranty; KEY FEATURES INCLUDE . BACK-UP CAMERA. FLEX FUEL. IPOD/MP3 INPUT. Smart Device Integration, Brake Actuated Limited Slip Differential REAR SPOILER, MP3 PLAYER, ONBOARD HANDS-FREE COMMUNICATIONS SYSTEM, KEYLESS ENTRY, CHILD SAFETY LOCKS. EXPERTS RAVE Edmunds.com explains The 2019 Ford Escape is a rare breed of compact crossover that deftly blends performance and utility. Sporty handling and a powerful turbocharged engine make the Escape drive more like a sedan, without sacrificing SUV versatility, making it a best-of-both-worlds choice.. Great Gas Mileage: 29 MPG Hwy. OUR OFFERINGS For over 35 years John Vance Auto Group has been a comfortable place to buy a car. Serving the Oklahoma City metro area and with 11 domestic makes to choose from we are sure you can find the next car, truck or SUV of your dreams. The John Vance Auto Group is located just minutes north of Oklahoma City in Guthrie, OK on I-35 exit 153. Come see why the John Vance Auto Group is a comfortable place to buy a car. All prices include all applicable rebates and incentives. Fuel economy calculations based on original manufacturer data for trim engine configuration. Please confirm the accuracy of the included equipment by calling us prior to purchase. Brake Actuated Limited Slip Differential, Smart Device Integration, EQUIPMENT GROUP 100A, INGOT SILVER METALLIC. FUEL EFFICIENT 29 MPG Hwy/21 MPG City! Ingot Silver Metallic exterior and Chromite Gray/Chrcl Black interior, S trim KEY FEATURES INCLUDE . BACK-UP CAMERA. FLEX FUEL. IPOD/MP3 INPUT. Smart Device Integration, Brake Actuated Limited Slip Differential. REAR SPOILER, MP3 PLAYER, ONBOARD HANDS-FREE COMMUNICATIONS SYSTEM, KEYLESS ENTRY, CHILD SAFETY LOCKS. OPTION PACKAGES INGOT SILVER METALLIC, EQUIPMENT GROUP 100A. Ford S with Ingot Silver Metallic exterior and Chromite Gray/Chrcl Black interior features a 4 Cylinder Engine with 168 HP at 6000 RPM*. VEHICLE REVIEWS Edmunds.com's review says The 2019 Ford Escape is a rare breed of compact crossover that deftly blends performance and utility. Sporty handling and a powerful turbocharged engine make the Escape drive more like a sedan, without sacrificing SUV versatility, making it a best-of-both-worlds choice.. Great Gas Mileage: 29 MPG Hwy. WHY BUY FROM US For over 35 years John Vance Auto Group has been a comfortable place to buy a car. Serving the Oklahoma City metro area and with 11 domestic makes to choose from we are sure you can find the next car, truck or SUV of your dreams. The John Vance Auto Group is located just minutes north of Oklahoma City in Guthrie, OK on I-35 exit 153. Come see why the John Vance Auto Group is a comfortable place to buy a car. All prices include all applicable rebates and incentives. Horsepower calculations based on trim engine configuration. Fuel economy calculations based on original manufacturer data for trim engine configuration. Please confirm the accuracy of the included equipment by calling us prior to purchase. Heated Seats..IPOD/MP3 INPUT....SATELLITE RADIO. MAGNETIC METALLIC, EQUIPMENT GROUP 200A, ENGINE: 1.5L ECOBOOST. SE trim, Magnetic Metallic exterior and Chromite Gray/Chrcl Black interior. FUEL EFFICIENT 30 MPG Hwy/23 MPG City! KEY FEATURES INCLUDE . HEATED DRIVER SEAT. BACK-UP CAMERA. SATELLITE RADIO. IPOD/MP3 INPUT. ALUMINUM WHEELS. REAR SPOILER, MP3 PLAYER, ONBOARD HANDS-FREE COMMUNICATIONS SYSTEM, DUAL ZONE A/C, PRIVACY GLASS. OPTION PACKAGES MAGNETIC METALLIC, ENGINE: 1.5L ECOBOOST auto start-stop technology (STD), EQUIPMENT GROUP 200A. Ford SE with Magnetic Metallic exterior and Chromite Gray/Chrcl Black interior features a 4 Cylinder Engine with 179 HP at 6000 RPM*. EXPERTS REPORT Edmunds.com explains The 2019 Ford Escape is a rare breed of compact crossover that deftly blends performance and utility. Sporty handling and a powerful turbocharged engine make the Escape drive more like a sedan, without sacrificing SUV versatility, making it a best-of-both-worlds choice.. Great Gas Mileage: 30 MPG Hwy. BUY FROM AN AWARD WINNING DEALER For over 35 years John Vance Auto Group has been a comfortable place to buy a car. Serving the Oklahoma City metro area and with 11 domestic makes to choose from we are sure you can find the next car, truck or SUV of your dreams. The John Vance Auto Group is located just minutes north of Oklahoma City in Guthrie, OK on I-35 exit 153. Come see why the John Vance Auto Group is a comfortable place to buy a car. All prices include all applicable rebates and incentives. Horsepower calculations based on trim engine configuration. Fuel economy calculations based on original manufacturer data for trim engine configuration. Please confirm the accuracy of the included equipment by calling us prior to purchase. Heated Seats..IPOD/MP3 INPUT....SATELLITE RADIO. OXFORD WHITE, EQUIPMENT GROUP 200A, ENGINE: 1.5L ECOBOOST.BACK-UP CAMERA.. SE trim, Oxford White exterior and Medium Light Stone interior. FUEL EFFICIENT 30 MPG Hwy/23 MPG City! KEY FEATURES INCLUDE . HEATED DRIVER SEAT. BACK-UP CAMERA. SATELLITE RADIO. IPOD/MP3 INPUT. ALUMINUM WHEELS. REAR SPOILER, MP3 PLAYER, ONBOARD HANDS-FREE COMMUNICATIONS SYSTEM, DUAL ZONE A/C, KEYLESS ENTRY. OPTION PACKAGES OXFORD WHITE, ENGINE: 1.5L ECOBOOST auto start-stop technology (STD), EQUIPMENT GROUP 200A. Ford SE with Oxford White exterior and Medium Light Stone interior features a 4 Cylinder Engine with 179 HP at 6000 RPM*. EXPERTS ARE SAYING Edmunds.com explains The 2019 Ford Escape is a rare breed of compact crossover that deftly blends performance and utility. Sporty handling and a powerful turbocharged engine make the Escape drive more like a sedan, without sacrificing SUV versatility, making it a best-of-both-worlds choice.. Great Gas Mileage: 30 MPG Hwy. MORE ABOUT US For over 35 years John Vance Auto Group has been a comfortable place to buy a car. Serving the Oklahoma City metro area and with 11 domestic makes to choose from we are sure you can find the next car, truck or SUV of your dreams. The John Vance Auto Group is located just minutes north of Oklahoma City in Guthrie, OK on I-35 exit 153. Come see why the John Vance Auto Group is a comfortable place to buy a car. All prices include all applicable rebates and incentives. Horsepower calculations based on trim engine configuration. Fuel economy calculations based on original manufacturer data for trim engine configuration. Please confirm the accuracy of the included equipment by calling us prior to purchase.